How cute is this church? 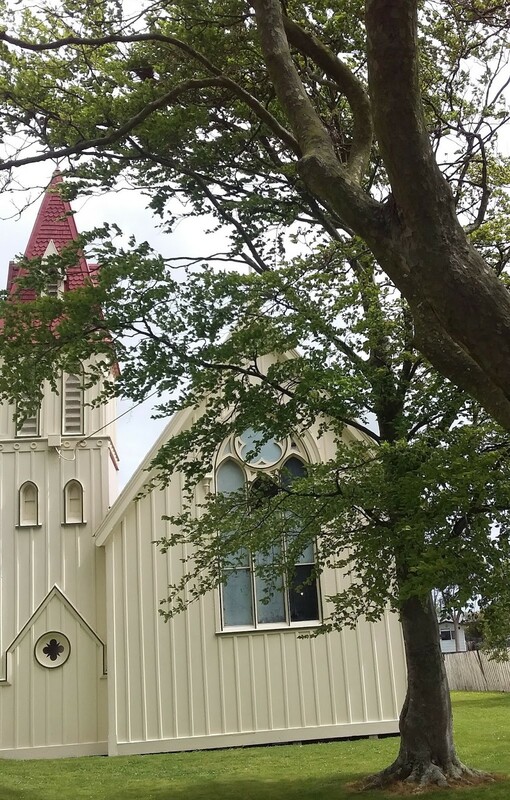 I’ve written about it in my blog post here but to save you the trouble, it’s a darling, mid-Victorian gothic-style church that was built in 1877 in the Manawatu, here in NZ. A few weeks back I ended up going to an open day they held to celebrate its 140th, and had a look around and was quite charmed by it. I’d been inside it once before but that had been a while ago, now, as in decades, so I couldn’t really remember much about it. 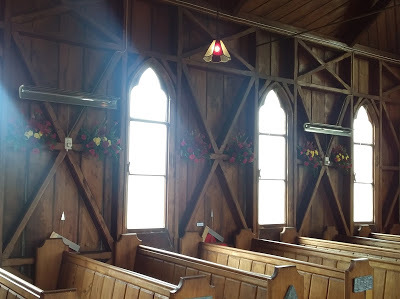 Inside it’s made of totara wood – its one of those wedding churches, where it would, if were going for the traditional wedding, be the perfect place to have a wedding. All the wooden pews and stained glass windows, and even a pipe organ for the wedding march, or whatever it is one does when one weds traditionally. After the service to celebrate the birthday, everyone went to the hall next door for lunch and after there was a cake (oh my golly gosh, an utterly gorgeous fruit cake) that was ceremoniously cut and handed out. Two of the young people performed a waiata (song) and there was plenty of opportunity to look around at pictures and displays of life in the church in days of yore. I am thinking I might make it a bit of a hobby next time I’m out and about in rural New Zealand to check out more of these gorgeous little churches. They are such a neat part of Kiwi landscape and amazingly, not all of them have been turned into cafes, art galleries, and private homes. I see a cute heritage church turning up in a romance novel, some time soon…! ← FREE BOOKS THIS WEEKEND!